When University of California President Janet Napolitano was interrupted by intercom announcements while speaking at Manual Arts High School Thursday morning, all she could do was laugh. "Some things about high school never change," Napolitano said. One thing Napolitano does want to change at Manual Arts High School is student awareness of the UC system's admission requirements and its programs to ensure college affordability. She met separately with faculty and staff, students, and teachers to answer questions. Napolitano said her reasons for visiting Manual Arts included its high graduation and college acceptance rates. 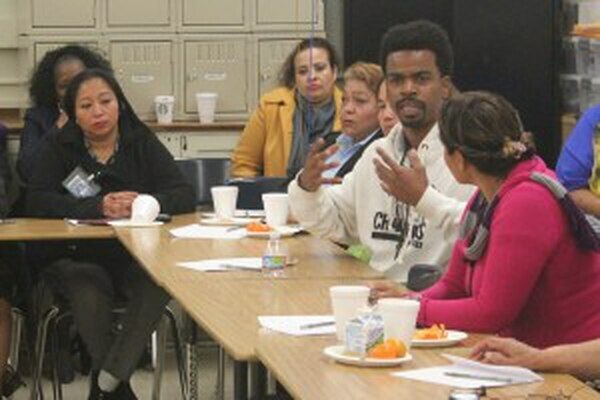 The high school participates in L.A.'s Promise, a program that provides support to improve education, health and social outcomes for South Los Angeles students. After joining the program in 2009, graduation rates at Manual Arts increased by 26 percent between 2010 and 2015. Last year, around 45 percent of the school's applicants were accepted into the University of California. "I'm here to make sure that number goes up," Napolitano said. 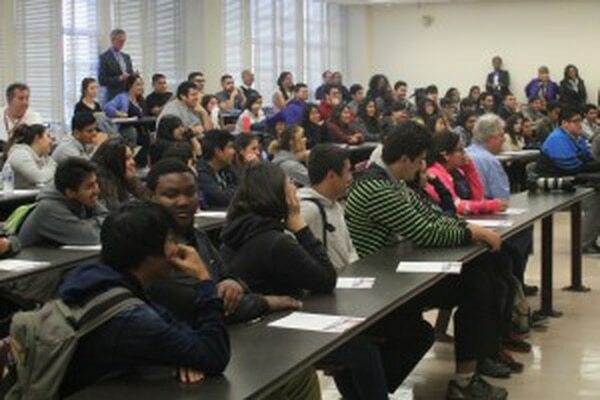 Students at Manual Arts High School in South Los Angeles listen to University of California President Janet Napolitano speak about college admissions and resources. 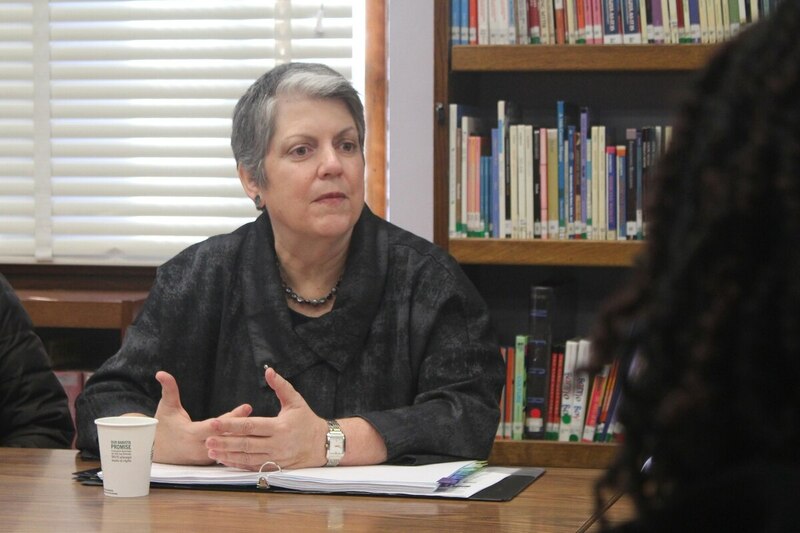 Napolitano emphasized the University of California's goal to increase in-state undergraduate enrollment. The move to pump up in-state admissions comes after July 2015 figures showed a 2.9 percent drop in California resident freshmen applicants to the UCs, bringing the homegrown admits down to 60 percent systemwide. Napolitano also addressed financial concerns, telling parents and teachers that a university education is more financially feasible than they might think. The system's Blue and Gold Opportunity Program ensures that undergraduates with a family income under $80,000 won't pay tuition out of pocket. "Students should be worrying about their education, not how to pay for it," Napolitano said. Parents inquired about the opportunities for undocumented students and those with undocumented family members. While such students can still receive state financial aid, they currently remain ineligible for federal aid. On Jan. 28, the University of California announced a program to help fill students' federal funding gap. One of the most frequent concerns voiced by teachers, faculty and staff was that students were unaware of the requirements for admission and the financial aid available. Manual Arts Assistant Principal Mistie Barela-Johnson said some South L.A. students can also be intimidated by the large university atmosphere and moving away from home. "We want to continue to motivate students and let them know that it is a possibility, and bridge the high school experience," Barela-Johnson said. Although the high school has a rich history of football success, JaJuan Adkins, the father of a Manual Arts freshman, said he wants all students to be mandated to fill out the necessary paperwork for college applications, not just athletes trying to meet NCAA requirements. Adkins is a Manual Arts alumnus who played college sports in West Virginia on scholarship, but his financial aid was taken away after he was injured. He has his son enrolled in several college preparedness programs at the University of Southern California to encourage him to pursue higher education. Manual Arts alumnus, JaJuan Adkins, now the father of a freshman at the school, discusses the importance of parental involvement. He agreed with Napolitano's assertion that parent involvement is crucial for student success, and said that Manual Arts parents should be more involved. "If we would have been at one of the private high schools and President Napolitano was speaking, we would have been in an auditorium instead of a classroom," Adkins said. When the classroom full of parents were asked to raise their hands if they wanted their children to go to college, every hand in the room went up. A woman accompanying Napolitano said that in order for that outcome to happen, parents needed to take advantage of the resources provided to them. "President Napolitano is here to serve you and your children. These campuses are here to serve you and your children and take your babies to their campuses," she said. Reporter Rachel Cohrs can be reached here or through Twitter. 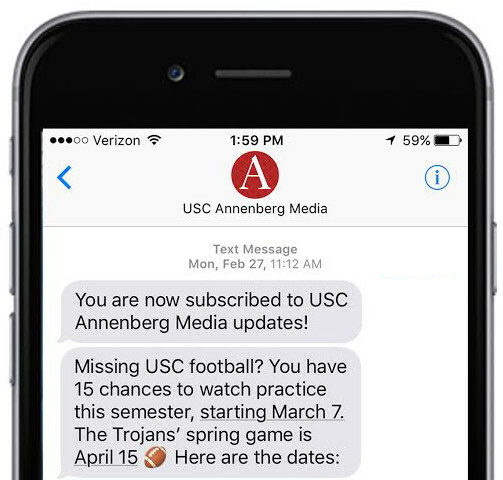 Rachel is the Interactives Editor at USC Annenberg Media. She is interested in politics and policy reporting.